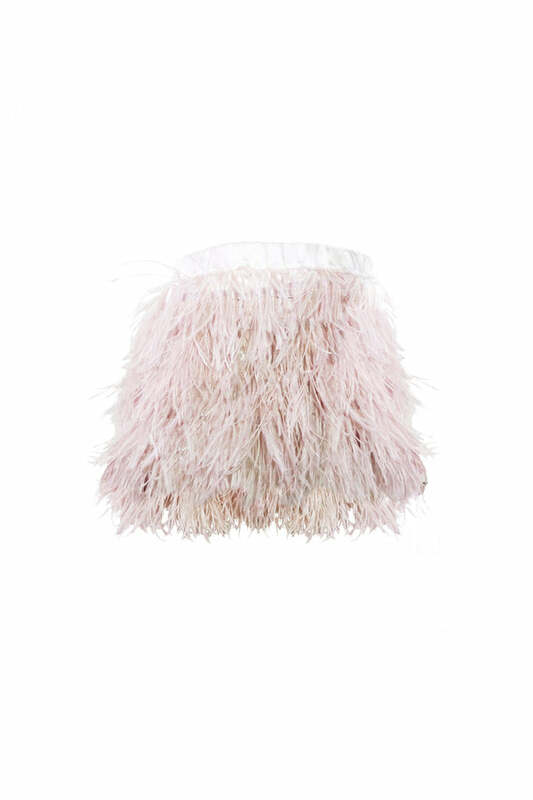 This divine Girls Ostrich Feather Skirt is hand made from specially crafted and hand dyed ostrich feathers. An ethereal and spectacular wardrobe essential fit for a princess! Our girls ostrich feather skirt sits has an elasticated waist band ensuring the skirt is super comfortable and will expand as your precious one does. The sizing of this skirt is true to size and as the waist band is elasticated, you can afford to go up a size or two and it will fit perfectly. Mila our model is 2 years old and wearing our sample skirt which is a size 4 - the skirt wasn't exactly 'the perfect fit' but she will be able to wear it for years to come. This gorgeous skirt is made from 100% marabou feather with satin lining. The invisible elastic waistband is enclosed in soft satin, allowing comfort and easy movement for the active little ladies on the go! Refer to product size chart for exact measurements.